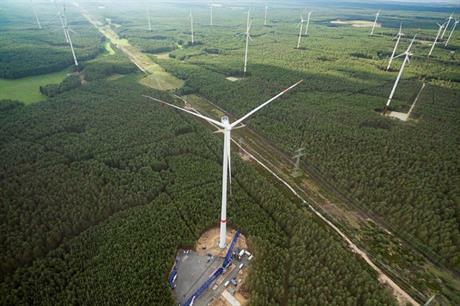 EUROPE: The deployment of non-hydro renewable power in Europe is becoming increasingly uneven, a new report has claimed, with a skew towards the UK and Germany, as wind becomes more dominant. The European Power Sector in 2017 report was released by think tank Sandbag in cooperation with German advocacy group Agora Energiewende. 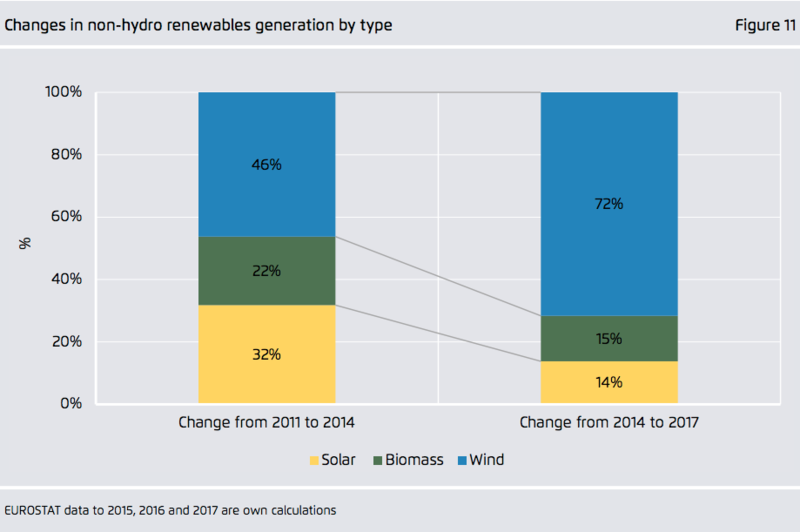 It found non-hydro renewable generation – wind, solar, and biomass – produced more power in 2017 (679TWh) than coal (669TWh) for the first time. Sandbag noted the fact coal produced more than twice that of non-hydro renewables just five years ago. Last year was also the first time renewables' share of gross electricity production in Europe reached 30% — up from 29.8% in 2016. "This was because the huge growth in wind generation was almost completely offset by the lowest hydro electricity generation in a decade," the report explained. However, renewable deployment is becoming more reliant on Germany and the UK, and is increasingly "biased" towards wind power. Germany and the UK alone contributed roughly 56% of renewables generation growth between 2014 and 2017 – up from 41% in 2011-2014. Wind, meanwhile, provided 46% of generation from 2011 to 2014. Since then, however, it has supplied 72%, the report said. In the report's outlook, Sandbag predicts renewable power to supply a third of Europe's electricity in 2018.